Adam Rogers is the articles editor at Wired and formerly covered science and technology for Newsweek. It can be nice to relax with a glass of wine, a beer or a shot of whiskey. But one drink too many, and you may be paying the price. 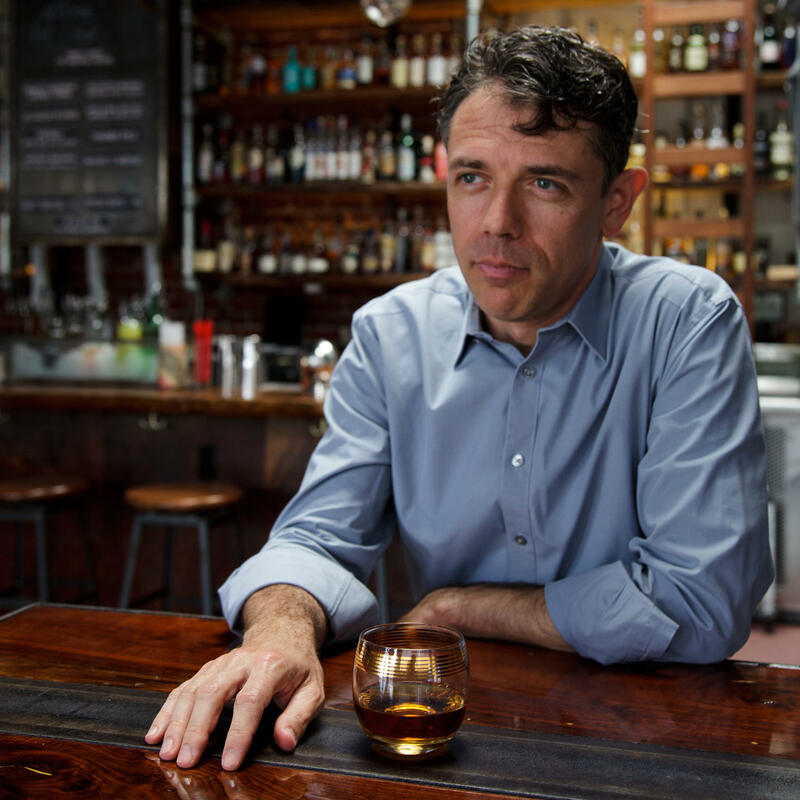 To understand why drinking can make us feel so good and so bad, you have to know a little about science, says journalist Adam Rogers, author of Proof: The Science of Booze. As Rogers notes, researchers have only just begun to explore the mystery of the hangover and share a common language around it. "Hangovers have different symptoms for different people," Rogers tells Fresh Air's Terry Gross. "Some people wear their hangovers in their guts and some people have horrible headaches, but we still see all of those things as a hangover." Rogers talks about the myths of hangovers — and how hangovers can be an inflammatory response, like the flu. The famous one is probably dehydration. Everyone will tell you, "Oh, it's because alcohol dehydrates you and that's what's causing the hangover."... [So you're told to] alternate [between water and alcohol], or have a big glass of water before you go to bed, and some of that comes from the fact that you do get dehydrated. But, in fact, the dehydration does not seem to be what's causing the hangover. You can fix the dehydration — and you're still hung over. [Also,] it's probably not the case that it's blood sugar that's causing the hangover. When you drink, your blood sugar levels are affected. But by the time you're hung over, your blood sugar levels are back to normal. There's that thing about mixing your drinks — drinking beer and then drinking wine, right? Again, no, you can do the study where you can have somebody drinking the same drink and getting to the same blood alcohol level and somebody drinking different drinks and getting to the same blood alcohol and they both get the same hangover, they both report the same symptoms. It wasn't until very recently that the researchers who studied hangovers even had a shared kind of language or vocabulary to even talk about them. They didn't even have a surveyed instrument that they could use to give people to have a reliable account of whether your hangover was worse than mine or different from mine. This is FRESH AIR. It can be nice to relax with a glass of wine, a beer or a shot of whiskey. But one drink too many, and you'll be paying the price. To understand why drinking can make us feel so good and so bad, we have to know a little bit about science, which is why Adam Rogers wrote the book "Proof: The Science Of Booze." He's the articles editor at Wired and formerly covered science and technology for Newsweek. Adam Rogers, welcome to FRESH AIR. You say over the past five years, researchers have revealed the pretty much everything anyone has ever told you about the causes of hangover is wrong. So what are some of the things that people had assumed were right that turned out to be wrong? GROSS: - And that will help. ROGERS: Yeah, exactly - or like alternate or have a big glass of water before you go to bed. And some of that comes from the fact that you do get dehydrated. But in fact, the dehydration does not seem to be what's causing the hangover. You can fix the dehydration and you're still hung over. GROSS: OK, so we got rid of that one (laughter). Is it because your blood sugar is affected? ROGERS: It is probably not the case that blood sugar is again what's causing the hangover. When you drink, your blood sugar levels are affected. But by the time you're hung over, your blood sugar levels are back to normal. And drinking a Gatorade or some other sports drink that changes your blood sugar levels doesn't seem to affect the hangover either. GROSS: OK, what else were you told in the past about how to avoid a hangover that turns out to be scientifically wrong? ROGERS: Well, there's that thing about mixing your drinks. GROSS: Don't do it. Yeah. ROGERS: - And then drinking wine and then drinking - right? Again, no, you can do sort of - you can do the study where you have somebody drinking the same drink and getting to the same blood-alcohol level and somebody drinking different drinks and getting to the same blood-alcohol level. And they both get the same hangover. They both report the same symptoms. And similarly - like if you say, well, OK, maybe it's like impurities in the alcohol. So it's - I'm going to stick to vodka, you know, because that's pure somehow - just ethanol and water, right? And so they're drinking bourbon or drinking tequila or something, right? And there have been actually a couple of studies. The problem is they're kind of crummy. They were presented at conferences. They're not peer-reviewed. They were very small populations where people did report a worse hangover for something like brandy than they did for vodka. But everybody got the hangover, right? You still have those bad outcomes. GROSS: OK, so we've dismissed some of the things that we've all been told will help prevent a hangover. What have scientists learned in the past that five years that might help us avoid a hangover? GROSS: I could've told them that. They didn't need to do a lot of research. ROGERS: Yes, thank you science. Well, it turns out they did. Actually, it was until very recently that the researchers who studied hangovers even had a shared kind of language or vocabulary to talk about them. They didn't even have survey instruments that they could use to give people to have a reliable account of, like, whether your hangover was worse than mine or different from mine. And part of the issue here, too, is that hangovers have different symptoms for different people, right? Some people wear their hangovers in their guts and some people have horrible headaches. But we still see all of those things as a hangover. For a while, the only thing that people would have in common in terms of describing their hangovers - they would say I have a hangover. But everything else was different. So they finally got around that. They finally have a survey instrument that they can give somebody and assess, you know, you have a level-nine hangover. And you have a level-seven hangover. And they finally started to see that overlap with both migraine and also with an inflammatory response. So the kind of thing that you would have if you had the flu, let's say. Right, where you feel achy and you feel slow and your brain doesn't work as fast and you - just kind of general malaise. And so looking at that, they could go well, OK, let's see if in fact this is an inflammation. And if you look at people with hangovers, the same markers in the blood that you would see with an inflammatory response - things like cytokines, for example, which are a molecule that the immune system uses to talk to itself - actually do seem elevated. And even better, you can induce what looks like a hangover by giving somebody those same molecules. You can administer them and then you get symptoms that look like a hangover. So that's good news because if you say well, if it's an inflammatory response, then maybe I can go at it with anti-inflammatory drugs. And we have those. GROSS: Well, we have those. But do they work for a hangover? ROGERS: The study that is the one that most people refer back to on this used a drug called Clotam. And Clotam is a sort of - it's like a super-powered anti-inflammatory. It's prescribed for migraines in Europe. And in fact, it did work - that it did seem to alleviate a lot of the symptoms of hangover. Now the problem is that it's not in the U.S. pharmacopeia. You can't get it here. I tried. But there are obviously other anti-inflammatories that we get over-the-counter - ibuprofen, things like that. The problem is that things like ibuprofen have side effects - potentially dangerous ones if you take a lot of them - that are in some ways synergistic with the effects of a hangover. So if you drink too much you have a lot of gastrointestinal issues, for example, right? There hasn't been a good study peer-reviewed with a lot of people in it looking at things like Advil - looking at the kind of stuff you can get over the counter. Nobody's actually done that yet. They've only done it with the sort of prescription-strength high-powered inflammatories. GROSS: So, you're saying the jury's still out about whether over-the-counters are really going to be effective with hangover? GROSS: Oh my God, I have a hangover. ROGERS: ... also like how often you're going to be doing that. You know? GROSS: Right, right. So, I'm surprised you didn't fly to France as part of your research to test out this drug that you say isn't available in the United States but was used in this anti-inflammatory hangover study. ROGERS: You know, that actually would've been a really good reporting move. GROSS: Oh you're so welcome. (Laughing). GROSS: (Laughing) So, you were talking earlier about myths about hangovers that scientists have disproven. One of the long-term remedies for a hangover is hair of the dog, the next morning you have a drink. GROSS: Scientifically does that work? ROGERS: Well, there is a good story about why it might work, although this is very, very hypothetical. And that is the idea that a hangover is caused by methanol toxicity. So, methanol is another the kind of alcohol right, alcohols as a class or a class of molecules in organic chemistry, ethanol is the one that we drink to feel like we've been drinking. But in any preparation of fermenting and especially distilling you'll get a little bit of methanol too. And if there's too much, that's that, it's the stuff that makes you go blind in bad moonshine right? But there's a notion that in small amounts it might be what's causing symptoms of a hangover too. And when you're treating methanol toxicity in a hospital - you show up in an ER with methanol toxicity. They'll give you a big dose of ethanol because it displaces the methanol off that enzyme. It keeps the enzyme from breaking it down into toxic stuff. So the idea's, well maybe the hair of the dog is like that. Maybe the hair of the dog is you're giving yourself a ethanol and that's displacing the methanol and so you feel better. That's all very hypothetical and the real bummer there is that people who - of the people who admit to using hair of the dog as a treatment for their hangovers they're also - they turn out to be the ones more likely to have an alcohol dependency later in life. GROSS: That's not a surprise? ROGERS: It has some intuitive power, yes. GROSS: (Laughing.) But the thing is, I thought that most alcohol that we'd be drinking that's legit doesn't have methanol in it. So how would the ethanol help? ROGERS: These would be trace amounts. If you drink enough, then the trace amounts add up, and it's just enough to give you the kind of discomfort - the symptoms of a hangover. GROSS: So, you're referring to the alcohol that's in, you know, liquor, beer or wine as ethanol. I've always thought of ethanol as something that's mixed in with gasoline at the pump, and it's used as an alternate fuel - made out of corn. 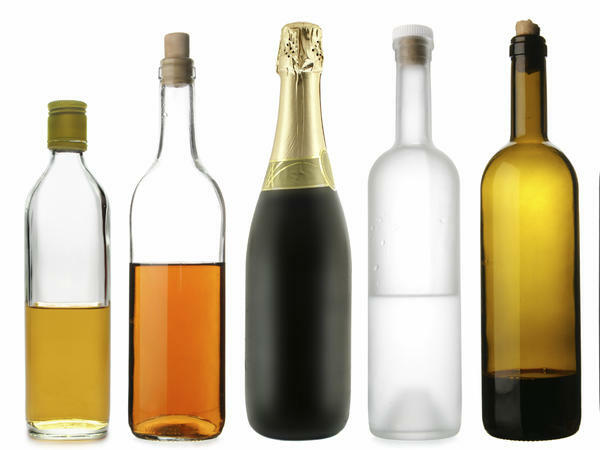 So, when you say that the alcohol we drink is ethanol, what exactly is that? ROGERS: Well, so those are all the same thing. You're right, and alcohols are a class of molecules in organic chemistry, so it's just a combination of carbons and hydrogens and oxygens in a particular order and depending on how many of those and what order you have them and how they're built togethe, you can have - you know, methanol is an alcohol. Ethanol is an alcohol. The kind of alcohol in the rubbing alcohol you buy as a - to sterilize a cut, you know, is another kind of alcohol. But ethanol is the one that we drink. It's the one with the psychoactive effects, and it's not - doesn't have the toxicity that some of the other ones would. And it also - because there's a lot of energy packed into the bonds in those - in the molecules - packed into the chemical bonds that hold the molecule together, it's also possible to use as a fuel just like gasoline. GROSS: Now that you've done a lot of research for your book about the science of booze and, you know, you've interviewed distillers and winemakers and you've done a lot of tastings, you've traveled around. Are there things that you will not drink anymore that you used to because, you know, you basically after learning about how it's made or what its effect on you is you lost your interest in it? ROGERS: So, I have, I've kind of stopped drinking cheap slivavotz, which I use to drink every once and a while, mostly at Passover, because I can sort of identify off flavors in it. GROSS: And that's plum brandy. ROGERS: It's a plum brandy, that's right. And there are a few small distilleries making whiskey that I don't drink anymore even though I love the craft distilling movement and I like whiskey a lot because for me now I know, having been exposed to the - some flavors that come from aging whiskey in small barrels, which taste different than if you age the whiskey for a longer time in a larger barrel. And I don't like those flavors, so I've stopped drinking those. ROGERS: My pleasure. Thank you for having me. GROSS: Adam Rogers is the author of the new book "Proof: The Science Of Booze." You can read an excerpt on our website freshair.npr.org. Coming up, Ed Ward tells us the story of the pioneering solo group the '5' Royales. A new box-set collects their recordings. This is FRESH AIR. Transcript provided by NPR, Copyright NPR.